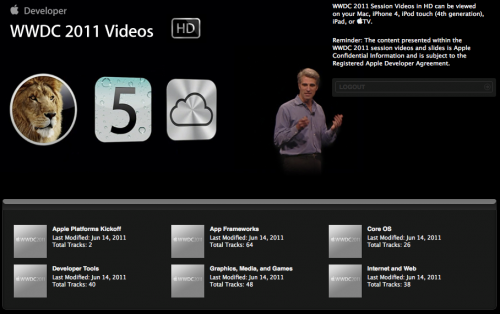 Apple has posted exclusive video content from the WWDC 2011 on iTunes and the official developer page. 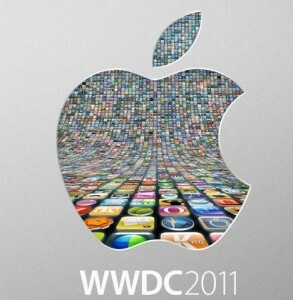 The video page was briefly updated yesterday, and multiple developers have confirmed that they are available on iTunes. The sessions include videos and matching slideshows for 109 different sessions, covering everything from ‘App Frameworks’ and ‘Core OS’ to ‘Developer Tools’ and ‘Internet and Web’. Videos can be accessed in both standard and high definition by visiting Apple’s Development Videos page and clicking on “Log in to iTunes” on the bottom left. Only registered developers will be able to access the content.